Jon Ronson is a British gonzo journalist of Jewish descent who specializes in the comic, the absurd and the slightly disturbing. I admit that I loved his books “Them: Adventures with Extremists” and “The Men Who Stare at Goats”. In fact, they are probably the funniest books I've ever read. The latter book has even been remade into a Hollywood comedy! “Them” features the almost classical story of how Ronson and conspiracy theorist Alex Jones manage to infiltrate Bohemian Grove and witness the infamous mock sacrifice to the owl god. Apparently, it was Jones' footage of the secret ceremony that originally propelled him into the conspiracist limelight. “The Elephant in the Room”, an article only available on Kindle, is less funny. Written recently, it features Ronson's reunion with Alex Jones during the 2015-2016 Trump campaign. 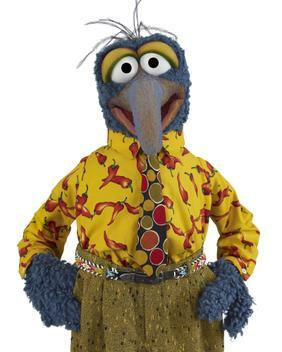 Gonzo is surprised to learn that Republican frontrunner Donald Trump and longstanding GOP operative Roger Stone are on a first name basis Jones, effectively having drafted the conspiracy theory doyen into the Trumpista campaign. Ronson further reveals that Trump made a failed attempt to recruit the erratic talk show host Glenn Beck shortly before the real estate tycoon announced his campaign for the presidency. Ronson seems bewildered by Trump's success and worried by his appeals to conspiracy thinking. He doesn't seem to understand that Trump was more popular than Hillary Clinton, instead trusting the rigged opinion polls which showed a huge dip in popularity for The Donald after the DNC. The article ends with quotes from Clinton's speech against the Alt Right, during which she mentioned Alex Jones by name. However, since Jones isn't Alt Right sensu stricto, you won't learn much about it by reading “The Elephant in the Room”. Often, I got the feeling that Ronson and Jones are two “dude bros”, nostalgically talking about their long lost youths when they chased mysterious owl gods. A weird contrast to all the apocalyptic fear-mongering surrounding the 2016 election campaign! Not as good as Ronson's earlier books, but for old (owl) time's sake, I have given it the OK rating.